Fatherhood is seeing how the other half lives: A short, beautiful post about a young father observing his wife's struggle with being a new mom who's just gone back to work ... after having twins. 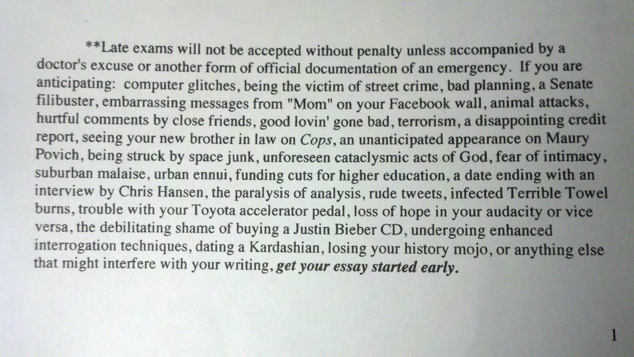 A professor lists all the reasons he won't accept late submissions: thanks to Abraham at 22 Words for finding it first. Here is one of the many reasons you wouldn't want to date a psycho girl. 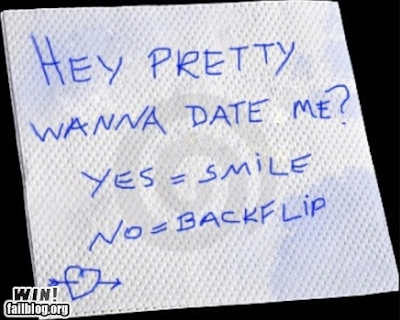 Not even a first date: hat tip to failbook.com for this one. 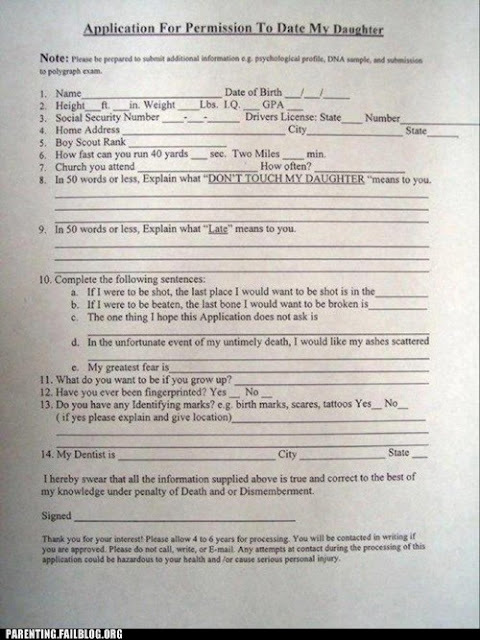 An Application for Dating My Daughter ... courtesy of Fail Blog. 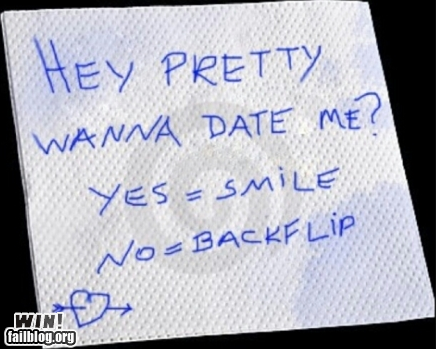 I can totally see us using this one day. "In 50 words or less, explain what 'DON'T TOUCH MY DAUTHTER' means to you.'" Heh. A writing class Win ... you may as well go ahead and follow Fail Blog, because I love basically everything they post. Love, love, love this video of a monkey attacking a man from behind a thick glass window ... again, thanks to Abraham at 22 Words for this one. And finally, these made me grin. Both, clever. Thanks to Fail Blog Wins! for these last two. Great post. If I weren't heavily medicated with pain pills, I would really have a big laugh. Since I am numb after a bad day, I have a silly smile on my face! You find the BEST stuff on the internet! Love all of these. 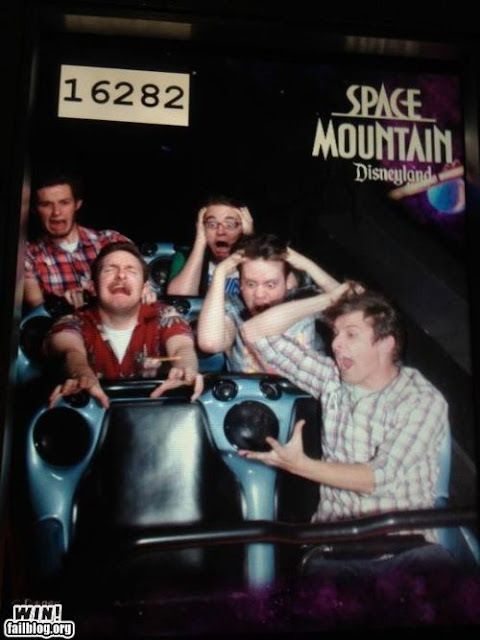 Failblog is the best thing God ever allowed to be created. I wish I was connected to more crazy people on FB so I could have threads like that tattoo one.